To the unaccustomed spectator the initial impression of a team or pairs heat may be of mayhem. Whilst some riders sprint to the first bend, others seem more intent on barging into each other than racing but continue watching and the tactics involved will start to become clear. In team racing pairs of riders start from alternate slots on the starting grid. Before leaving the pits each team’s manager will have made a call on the initial tactics to be used based on the relative strengths of their riders compared to those of the opposition in the heat. If a manager believes their team’s riders are stronger gaters than their rivals they may advise both to go for a quick start to take the leading two positions. Alternatively, the innermost rider may be told to get ahead and block an opposition rider so their outer team mate can sweep round on the outside. If achieved from one and three this can lead to a team securing the two lead positions with the hope they can retain them throughout the heat and so take the maximum seven points. From two and four if they can hold off the rider they have forced into last position then the riders would expect in the least to be able to draw the heat. Other factors may also need to be quickly considered by the riders once racing. If leading can they influence their team mates chances of success by taking control of the pace of the race in the hope of pressuring a rival into making a mistake ? Is a rival much stronger than both themselves and their team mate so needs covering throughout a race to limit their chances of taking overall victory ? Will going for an outright win or attempting to get past a rival jeopardise the result and so turn a draw into a loss ? Selecting not just the right tactics but also pairing the right riders for the match is crucial to success. 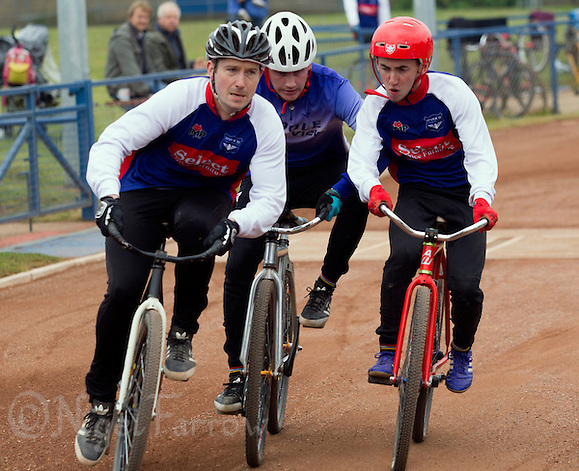 “Some of the pairings come naturally,” says Tony Stant, the team manager of the elite team at Ipswich Cycle Speedway Club. 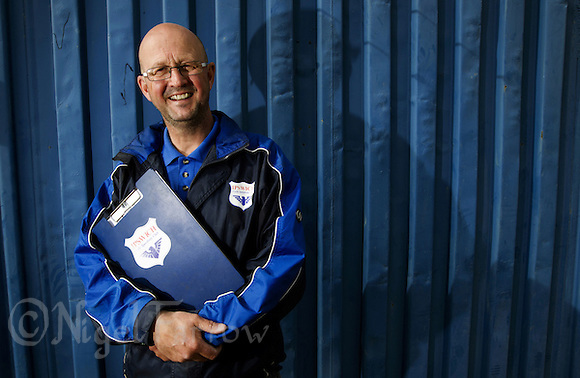 “A particular one way back when I was junior team manager, and when I was the second team manager, was Ritchie (Richard) Fellgett and Dan Knights; they just clicked, they knew almost telepathically what each other was going to do. They knew, and that is another thing I suppose, knowing each others strengths as well as what your partner is capable of. “You’ve got to have your heat leaders, which is your people like your Josh Brookes and Adam Pecks. Ultimately you are looking for them to shepherd their team partner around. They are the one who takes responsibility of the heat. They’ve got to be big characters, they’ve got to be able to take responsibility. I can only instruct them from the pits to the start line. Once the tapes go up hopefully they can carry out the instructions but obviously if things happen on the track they have to think quick. They have to decide to make what they think is a positive move, whether they are going to win the heat or sit and hold what they have got. “It would be brilliant if you could have two people who could really gate and get out because thats half the battle but you haven’t got that so sometimes you’ve got to realise your partners ability like a Charlie Rumbold for instance. He’s not the best gater but most riders will tell you the one rider you don’t want to be buzzing round your back wheel is Charlie because you know he’ll make something happen. His team mate will know if he’s in front and he’s got the opposition behind him and Charlie is behind the opposition rider he’ll know he’ll keep the other rider off his back because he’s got enough to worry about. “Younger riders tend to stick together more like Ashley (Hill) and Charlie. At this particular moment I’ve been riding Ashley and Charlie together because they have a good interaction. They’re not just friends on the track they are friends off it, they socialise together so you hope they’ve got a good understanding of each other. They’ve been brought up together on the track aswell. “Its been more difficult this year because I haven’t always been able to put the same pairings out which doesn’t help. You need to get pairings out then stick to them because that way they get an understanding. “Unfortunately coming of age comes with work and that brings its own problems which I’m finding especially for away matches. Home matches are not being a problem but its getting the riders to travel not through a fault of their own but because work has to come first. 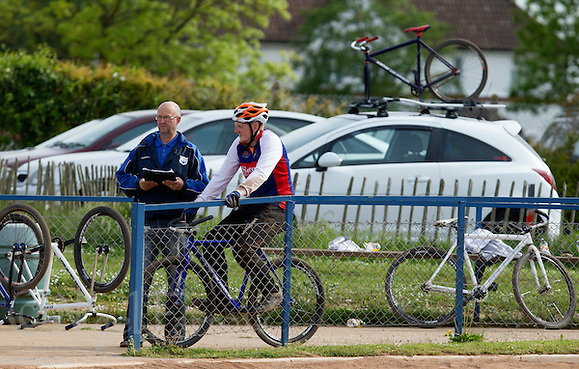 He tries to learn by watching his rivals such as 1983 Individual Men’s World Champion Roger Ellis at Wednesfield and Geoff Gamage, the British Women’s team manager from Horspath Hammers. “You try and pick up little tips, see how they’re doing because I’m still learning as a manager like the team is,” says Stant. “I’ll make mistakes but I’ll make sure I learn from my mistakes. If I’ve got a critic its me, I’m my biggest critic. Posted on Thursday, July 30th, 2015 at 5:04 pm. 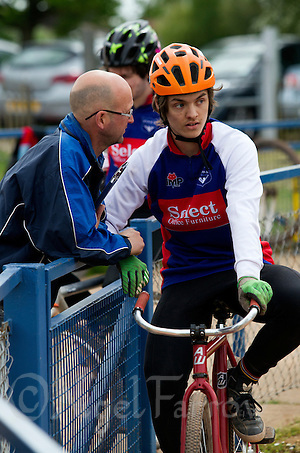 | Categories : Cycle Speedway, Cycle Speedway 2015, Cycling, Recent, Sport | Tags : adam peck, ashley hill, charlie rumbold, cycle speedway, cycling, dan knights, ipswich cycle speedway club, jamie chittock, josh brooke, richard fellgett, sport, tony stant, volunteer.